Whenever you are involved in an accident where you suffer injuries and the accident is because of the negligence of another party that other party may be legally responsible for taking care of your medical expenses, bills, lost wages and other compensation related to your injury. Many people are not sure just what they need to do when they are placed in a situation like this and are hesitant to turn to legal help because they think they cannot afford it. This can put you at serious risk of getting little or nothing to help you with your injuries. If you are confused and unsure about your situation following an accident, we at Belal Hamideh Law can be the difference maker for you. Our firm knows all of the ins and outs involving an accident and personal injury cases because that is all that we handle. 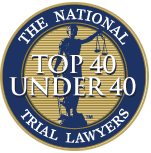 We are experts in the area and have a very high success rate of getting judgments and settlements in strong favor of our clients. We understand how difficult a time like this can be for you and you likely are feeling stressed, anxious and confused about what to do. That is why you should take the time to sit and discuss all the aspects of your case with us. We can help calm your nerves, make sure you get proper medical treatment and present you with the best options moving forward with your case to help you get the maximum compensation possible for your injuries. When you work with us at Belal Hamideh Law, you have nothing to fear about your case. Every case we accept is done on a contingency basis, meaning there is no cost to you until we win your case for you. We accept all the risk and burden of the case, so you do not have to worry about it during this trying time. Any payment we receive comes from your settlement or judgment, so nothing ever comes right out of your pocket. If we do not win the case for you in some way, then you pay nothing at all for our services. 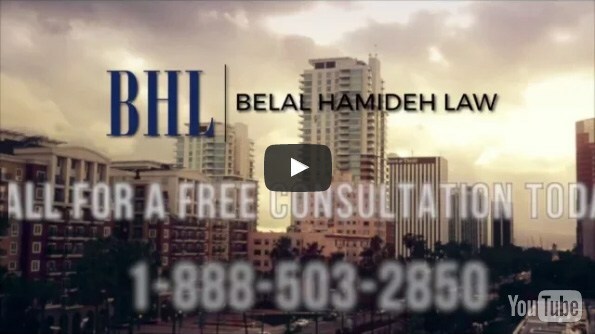 You can learn more about the services we offer at Belal Hamideh Law by calling our office directly at 888-503-2850. You can speak with a member of our staff, ask questions and arrange for a free consultation with a lawyer to discuss your case. You can also visit our website at www.belalhamidehlaw.com to find out more about the cases we handle, the services we provide and what we can do for you to make a difference in your personal injury case.